pirates and peonies: the zoo. 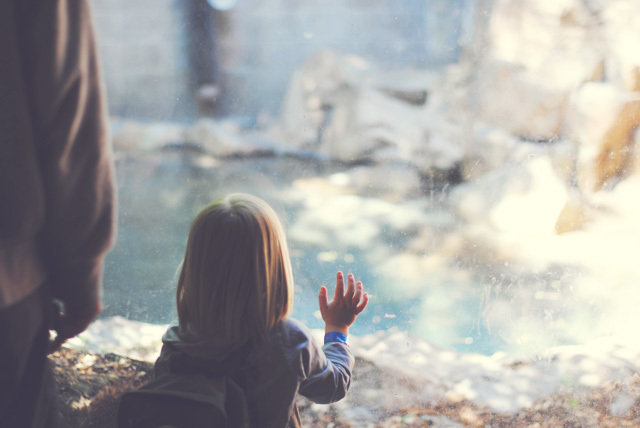 Wrennyn's first time to the zoo was a sweet little time. It was one of the first things that we have done spontaneously, with all 3 kids. There was no thought put into it and no prep/planning. I have to say that is the way to go! Not mapping things out or trying to make it into a big event. It was simple and fun, and I think that has a lot to do with the fact that there were also no expectations. Why don't we do this more often!? It may sound silly but it is truly the first time I really felt like Wrennyn was big. 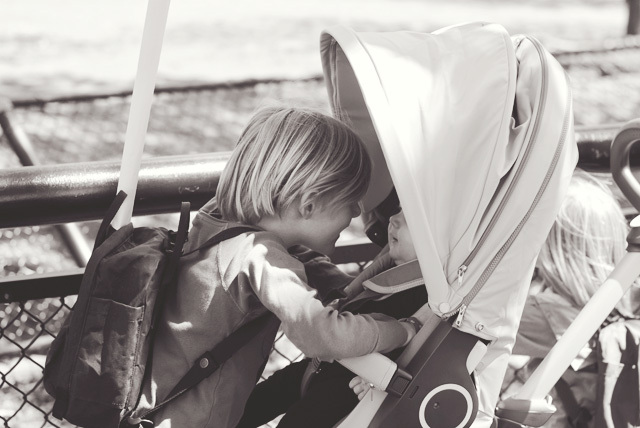 I had him facing away from me in his stroller, and he loved it - he almost seemed proud! It made me realize how quickly those infant phases pass by. Due to "winging it" I had forgotten Wrennyn's pacifier, but he was so content in his stroller and so engaged with the surroundings at the zoo! 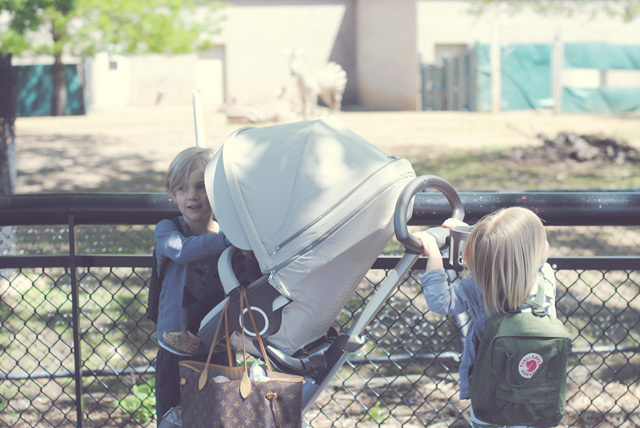 I know you guys have heard me rave about my love for our stokke, because of it's look and design, but I got to see firsthand at the zoo how Wrennyn really could interact with the world and really keep an eye on those passing by. I have no doubt it is thanks to the fact that our xplory sits up so high. It was really actually cute how many people stopped to wave at our nosy little baby. Rowan was such a good brother making sure that Wrennyn got to see all the animals. Brinley was also a sweet little brother by sharing each animal noise at full volume for Wrennyn and all of the zoo attendees to hear. They really do love making him fell part of the pack. I am one lucky lady that our lives are so full of love and animal noises. 1. I try to capture way to many moments. I need to sit back and soak them in and really engage in what we are doing. I need to remember it in my heart before I try to hold onto it through a photo. 2. No matter how badly I smell, I have never smelt as bad as the safari building. 3. Always pack snacks, and don't be scared to sneak some of the boys' treats for myself. 4. To hold Andy's hand more. We are so busy with hustle and bustle of carting the boys around that we forget about each other some times. 5. 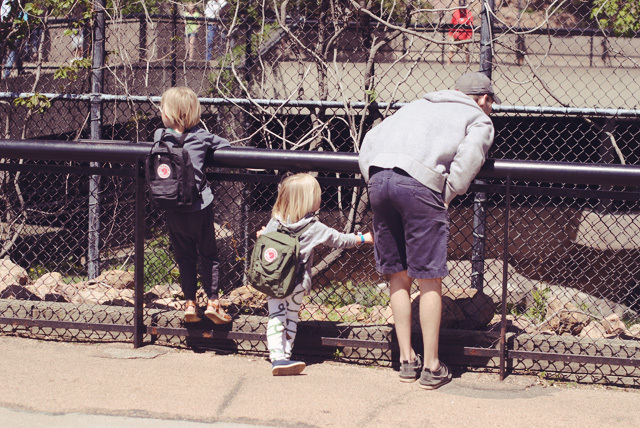 Brinley only throws tantrums when he leaves the zoo. 6. Brinley would rather live at the zoo than at home with us. 7. Wrennyn is getting way too big, and he is way too nosy. 8. Rowan still thinks animal are pretty cool, but reading all the signs are even cooler! 9. Seeing a Tiger go poo is super awesome if you're a little boy. 10. I really REALLY love being a mom. 11. I don't care to take photos of animals, because apparently my own wild animals are all I care to remember. 12. We need to wing it more often. 13. I am in love with our xplory! I love seeing Wrennyn engage and be part of his surrounding with us!